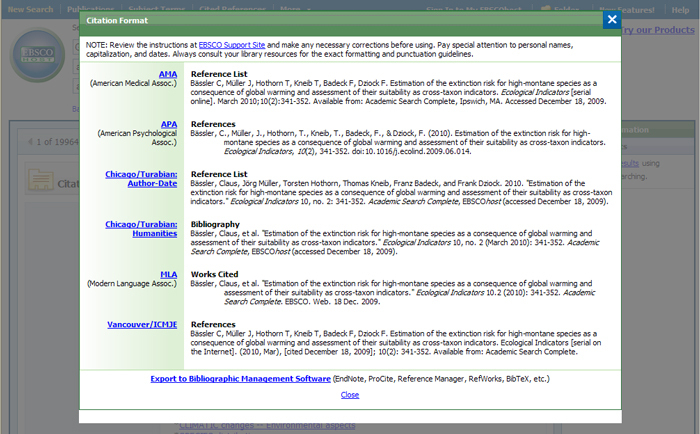 EBSCO Discovery Service™ (EDS) creates a unified, customized index of an institution’s information resources, and a means of accessing all of that content from a single search box. The ability to create these custom solutions is achieved by harvesting metadata from both internal (library) and external (database vendors) sources, and creating a pre-indexed service of unprecedented size and speed. Although the resulting collection is massive in size and scope, the fact that it is indexed directly on the EBSCOhost servers allows for exceptionally fast search response times, and the ability to leverage features of the EBSCOhost user experience - across all resources. Full-text searching – EDS offers access to metadata for full-text content, which in turn will yield accurate search results. 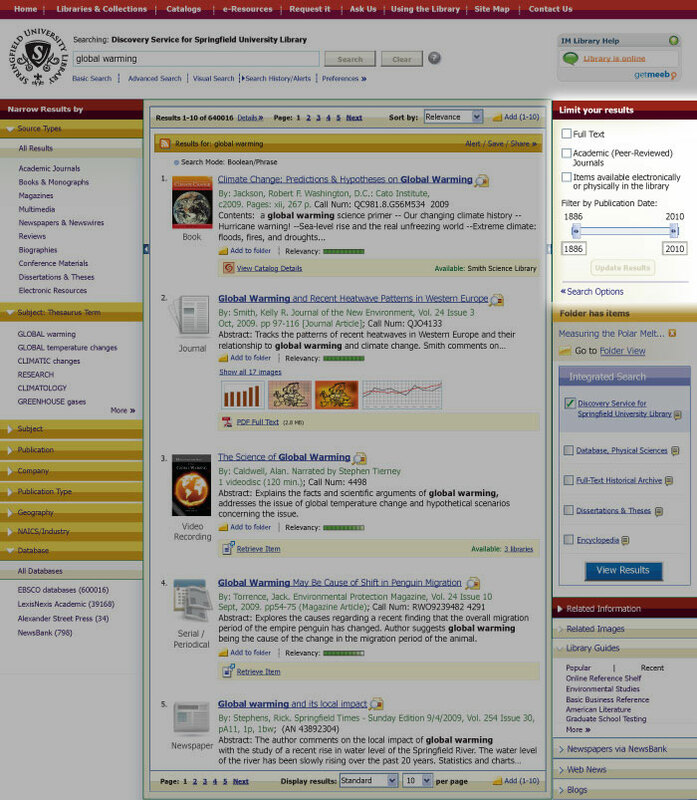 Access t the library’s full-text content (electronic and print) – EDS offers an integrated one-stop search experience for a library’s Journals, Magazines, Books, Special Collections, OPAC and more. 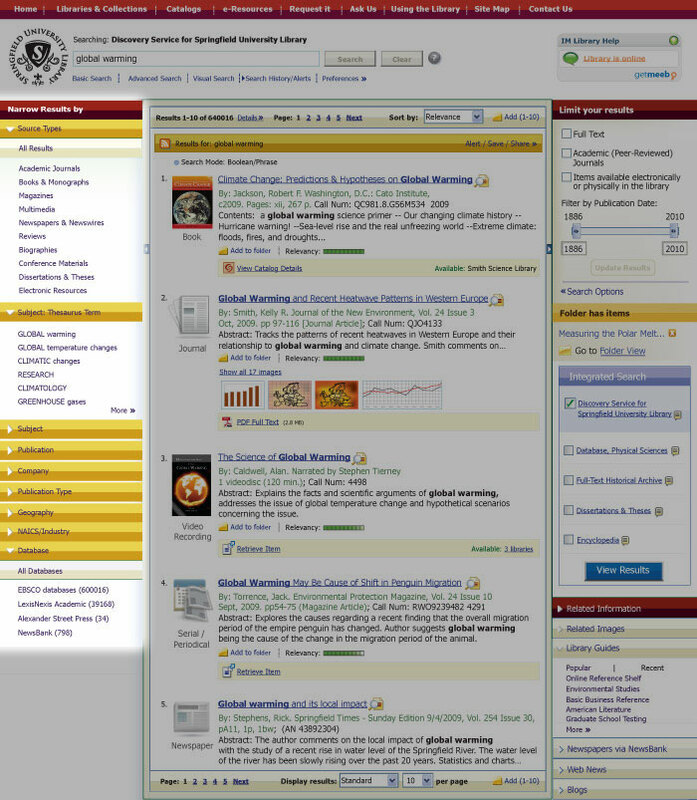 More than 100,000 institutional subscribers representing millions of end users have brought peak usage of EBSCOhost to more than 60 million searches in a single day, By using EBSCOhost as the foundation for the EBSCO Discovery Service (EDS), the library collection becomes available Additionally, interface customization lest the EDS experiencebbecome “your own”.